An authoritarian rich country augurs a better future than a poor democratic one. This series documented the fact that modern weapons are so effective, so cheap, and so ubiquitous that failed states like Yemen, Somalia, and Afghanistan are hideously expensive to take over and put right. In the past, someone would conquer a failed state such as Zimbabwe and bring sufficient order to extract enough in taxes to pay for conquering it, but nobody can profitably do that any more. Failed states are left to fester. In Somalia, the gangs which control various bits of the country want cell phone service badly enough to defend the cell towers, in return for "taxes" of course. This gives the gangs a stake in the cell system - no tower, no taxes, and no phone calls either. The money Somali pirates bring in helps fund the cell system; without it, there'd be fewer cell phones and many other services wouldn't exist. It's not clear whether the Mexican government can win its ongoing civil war against the drug gangs who're funded by sales of illegal drugs in the US. Without this illicit cash-flow, the gangs couldn't afford the weapons they need to take on the government. Both Mexico and Somalia are far too well-armed to be put right by a conquering hero coming in from outside, but what if a hero springs up from inside? Americans have a long tradition of individual freedoms because there was so little government out on the frontier that people had to take care of themselves. Although they gripe about deficits, the major complaint of the Tea Party activists is that they have to "take back our country" from government leaders who want to take away their freedoms. Back when America was founded, Ben Franklin said that people who would give up liberty in return for a promise of security would soon have neither liberty nor security, but what about economic progress? Is it worthwhile to give up liberty for a booming economy? And Rwandans have a lot to shout about: new roads and health clinics; millions of dollars of foreign investment; broadband Internet; even national health insurance, a small miracle in this poor, tiny, overcrowded country where the top natural resource may be the few hundred gorillas left in its misty mountains. The article goes on to state that many citizens don't feel free to vote against the President. Political repression is increasing and rights groups are saying that Rwanda's development is coming at the price of liberty. The Economist slid gently past this issue without explicitly mentioning it in a recent article. Rwanda? Yes, that Rwanda where around 800,000 people were hacked to death in three months 16 years ago. That inauspicious history makes Rwanda's climb to a corruption-free, economically prosperous place all the more remarkable. The world saw a similar miracle in Singapore. Starting with a very poor, ill-educated population in a small city off the tip of Malasia, Singapore has progressed to be one of the wealthiest cities in the world despite having essentially no natural resources. Prime Minister Lee Kuan Yew assumed power in Singapore in 1959. His party has been in control of Singapore ever since with essentially no challenges from any other party. The city has prospered apparently despite his somewhat tyrannical ways - he once sued the Economist for libel - because Mr. Yew was death on corruption. His agents committed traffic violations to see if the cops would take bribes and arrested those who would. Word quickly got 'round. Based on the Economist's account, we assume that President Kagame has learned from how things were done in Singapore and is following that proven model. The Economist agrees with the Times, however, in believing all is not well in Rwanda despite the growing economic prosperity. Part of the problem is that aid agencies find it so very hard to find any African country where their programs do any good at all. Given that aid projects actually seem to work in Rwanda, the great and the good find it hard to criticize Mr. Kagame for being hard on his political opponents. How can anyone criticize the President of a country where the cops don't take bribes and the roads are maintained, on a continent where the opposite is the norm? Democracy is not a magic wand. Democratic processes alone do not insure prosperity. They don't even necessarily encourage it - the people of the Gaza Strip voted in a free and fair election for rule by the terrorist group Hamas. This ill-advised but perfectly democratic choice has led to the destruction of their economy, many of their homes, and most of their political freedoms. The truth is closer to the reverse - prosperity encourages democracy. When Chiang Kai-Shek's defeated Nationalist Chinese army moved to Taiwan in 1949, they set up a government that was just as hard-line a tyranny as any found elsewhere on earth. As in Singapore, there was only one political party, the Kuomintang. Unlike Mao Tse-Tung who was free to run his own show in China, Chiang was under pressure from his American allies to allow political opposition. Over the years, Taiwan became a wealthy country and people finally voted out the Kuomintang. As the Korean war broke out, the Americans installed a cooperative dictator named Rhee to run the South. Rhee remained in power as the conflict ended with the armistice at the 38th parallel. The tradition of tyrannical, one-party rule continued, but over time, as the Koreans became wealthier, democracy opened up and now a genuine democracy prevails. Things haven't yet gone quite as far in Singapore. The city is wealthy, though, and wealth tends to give people time and leisure to concentrate on politics. There are now several opposition parties and they are taking more and more seats from Mr. Yew's party. There's no democracy at all in China - the government rules by decree. 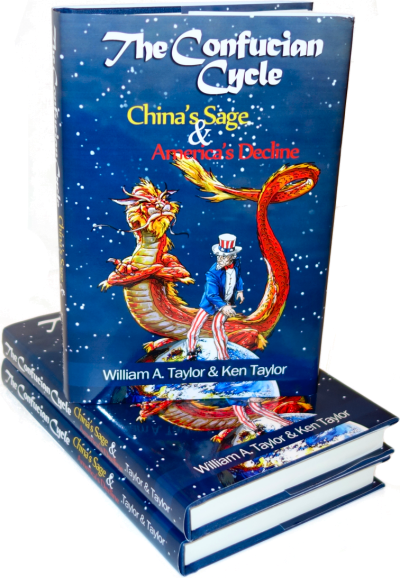 There's no doubt, however, that as the Chinese get richer they will want more of a say in how their lives are run, just as Americans resent their government taking over more and more control of their lives. Based on how prosperity eventually leads to political plurality if you're sufficiently patient, we believe the Economist should cheer as Rwanda becomes richer regardless of its leader's less-than-democratic ways, for a very good and humane reason: almost anything is better than a return to genocidal war. If President Kagame can keep his Tutsi and Hutu from killing each other for another 16 years, they may become wealthy enough not to want to go to war against each other any more. Sixteen years ago, Rwandans had a whole lot more political freedom to disagree, and a bloodbath resulted. Do we really want to go back there? Asian experience shows that political freedom follows economic freedom. History shows that it's almost impossible to grow both at once; you have to start with one before you take on the other, or you'll wind up losing both. As countries go, America is young; but as political systems go, it's quite old, being based on traditions of freedoms going back almost another thousand years. American liberty did not spring fully-formed from the minds of the Founders; it was based on the beliefs, experiences, principles, and daily lives of their grandfathers. It's not reasonable to expect other nations without a tradition of liberty to become modern, mature democracies overnight. By expecting too much of democracy, sometimes we accidentally stamp out its green shoots by over-pushiness. If guns are cheap why can not the Mexicans defend themselves against the drug lords? The cops have to leave their guns at the station when they are off duty. The drug lords buy guns from the US. 1. Guns are even more illegal in Mexico than the drugs are. "When guns are outlawed, only outlaws will have guns" in spades. Remove gun control laws and (after a brief but intense bloodbath) Mexico would be rather better off. 2. The "Druglords buy guns from the US" canard has been proven false. Yes, most of the guns THAT ARE TRACED came from the US. That's because the vast majority of druglord's guns come from China (much, much cheaper), have no serial numbers, and thus can't be traced at all.